Undeniably charming and infectiously disarming, it’s almost impossible not to be swept away or even find a fault in the follow-up to Paul King’s 2014’s Paddington. After the first movie quickly becoming one of the highest grossing independent films of all time, everyone’s favorite bear from Peru returns for another crowd-pleasing adventure in Paddington 2; a beautifully written, wonderfully choreographed and a heartwarming sequel, which, unlike most sequels, actually manages to surpass its predecessor’s already winning qualities and charms. Now settled with the Browns in the London’s Windsor Gardens, Paddington (Whishaw) has become a popular member of the community, offering his ear and emotional support to those around him. With Aunt Lucy’s (Staunton) 100th birthday coming up, Paddington hopes that, by taking on a variety of jobs in the neighborhood – everything from hairdressing to window-washing – he’ll be able to afford the perfect gift for his beloved Aunt, in the form of a unique and a seemingly expensive pop-up book of London that he has come across in Samuel Gruber’s (Broadbent) antique shop. Only a day away from having enough money to buy his gift, things get complicated for Paddington when the book is stolen by a mysterious bearded thief, who, as we soon find out, is none other than Phoenix Buchanan (Grant); an egotistic and a once-famous actor who is hoping that the book will bring him the much-desired fortune needed to turn his career around. Getting framed for the theft, Paddington is sent to prison, leaving Henry (Bonneville) and Mary Brown (Hawkins) as well as their children, Judy (Harris) and Jonathan (Joslin), looking for ways to clear his name and get him out. Never taking itself too seriously, the self-depreciating humour found within the story is one of film’s many joys. Filled with plenty of crowd-pleasing moments, family-friendly humour and exciting adventure set -pieces, everything about the story works and King – who returns to direct and even co-scripts the story along with Simon Farnaby – ensures that the warm, fuzzy and whimsical tone of the first film is kept alive throughout. 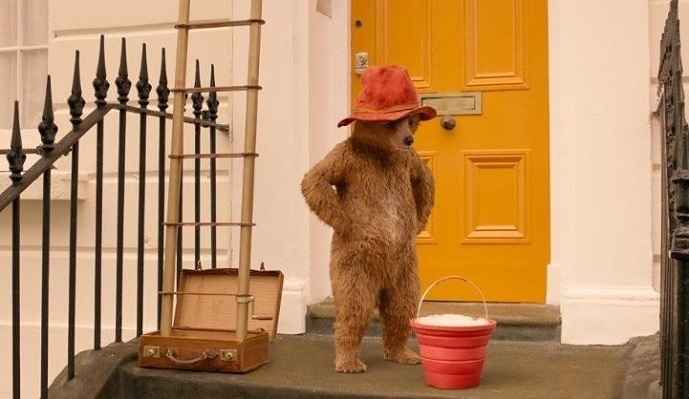 The special-effects and the CGI used to bring Paddington – once again wonderfully embraced by Ben Whishaw – to life is exquisitely rendered and even the lip-syncing seems to be a little bit more on point this time around, adding an extra layer of realism to its central character. 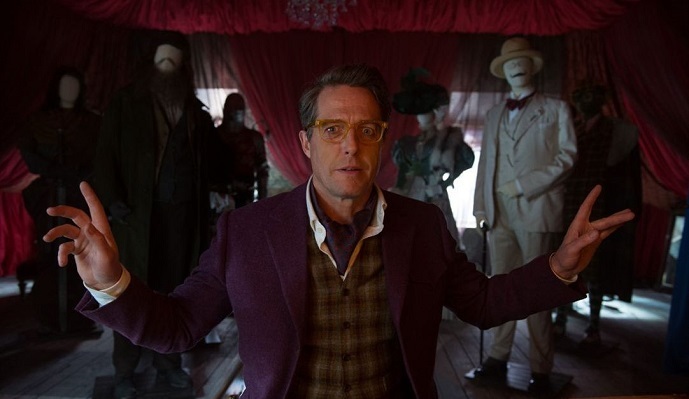 Speaking of characters, the story’s self-loving and eccentric villain, played by the charmingly buffoonish Hugh Grant, is just another highlight of the picture, while Brendan Gleeson shines as the no-nonsense Chef Knuckles who Paddington befriends in prison, with their friendship blossoming through their shared love of marmalade. The rest of the cast is equally giving as is the story itself which, judging by its incredible charm and poignant finale, will leave audiences of all ages warm and giddy with joy. Michael Bond, the author of Paddington, sadly died on the last day of filming.